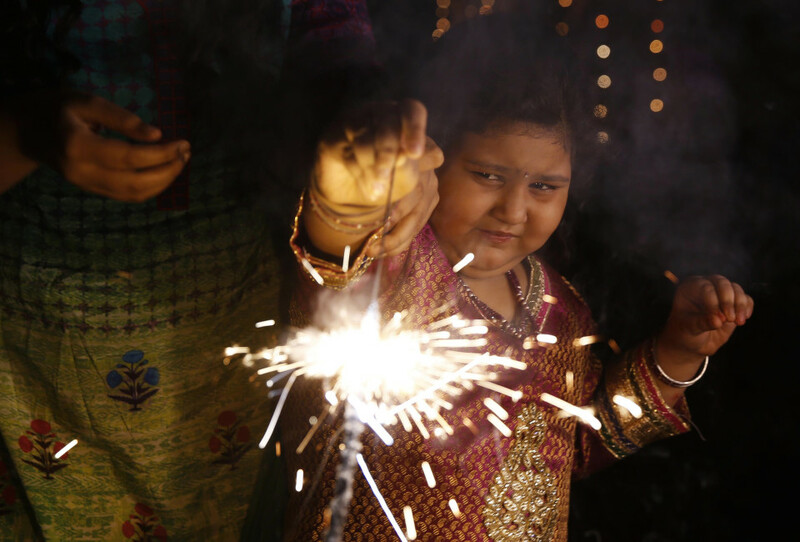 On the eve of Diwali, a 9-year-old girl Avantika was brought by her parents at Advanced Eye Hospital and Institute in an emergency department with injuries to her face and hands due to firecracker injury. She was standing too close to the firecracker she lit, waiting to check if it had lit properly. On reaching AEHI her eye examination was done. Her eye examination revealed minor burns to her eyelashes, eyelids and eyebrows. She was referred to Dr. Vandana Jain,Cataract and Cornea Specialist who checked her eyes and managed medically. She was been advised few eye drops for her eyes. Avantika was lucky enough that her eyes were saved. Avantika’s parents are thankful to Dr. Vandana Jain for saving their daughter’s vision. As we eagerly await Diwali for the delicious sweets, superb meals and our customary family get-together, the sound and visuals of post-Diwali puja firecrackers motivates us. There comes the devil. Every year a large number of people, mostly children and young adults, sustain ocular injuries due to firecrackers. PROJECTILE INJURY: Small particles and stones that are released into the air when a cracker is burst can cause tears on the surface of the eye (cornea or sclera) or can go inside the eye (globe perforation) or cause fractures in the surrounding bone, if big in size. CHEMICAL INJURY: If firecrackers are burst too close to the eye, chemicals in the form of fumes can damage the eye, sometimes irreparably. This needs a large amount of water for removing the chemicals from the eye. THERMAL INJURY: These injuries occur mostly to the person lighting the firecracker, due to the fire component. They can cause a burn to the eyelids, eyelashes, eyebrows and sometimes bits of ash and burnt firecracker debris may be found inside the eyelashes. Careful removal of all the debris and burnt eyelashes by an eye doctor is required. Most eye injuries due to firecrackers are a combination of these three components. Is it possible to minimise these injuries? · Children should always be accompanied by adults while bursting crackers. · Ignite crackers only outdoors (open spaces). · Avoid use of multiple firecrackers at the same time. · Always read the instructions on the box carefully. · Educate the child regarding the dangers of firecrackers. · Promoting safe use via schools and media will also have a positive impact. · Don’t stand too close to the firecrackers. · Don’t ignite firecrackers indoors. · Don’t ignite firecrackers in containers (glass, tin). · Don’t attempt to reignite already lit crackers. · Don’t keep firecrackers in the pocket. · Don’t try to ignite firecrackers in your hand. · Keep them at a place that is not easily accessible to children. If your eyes are injured by a firecracker, cover the injured eye with cotton and tape, and rush to an eye-specialist immediately for an evaluation of the extent of the damage. Do not use any medication or treatment without the orders of an eye-specialist. May the festival of lights bring peace, prosperity, happiness and good health for you. Don’t let avoidable incidents like firecrackers spoil your festive spirit. 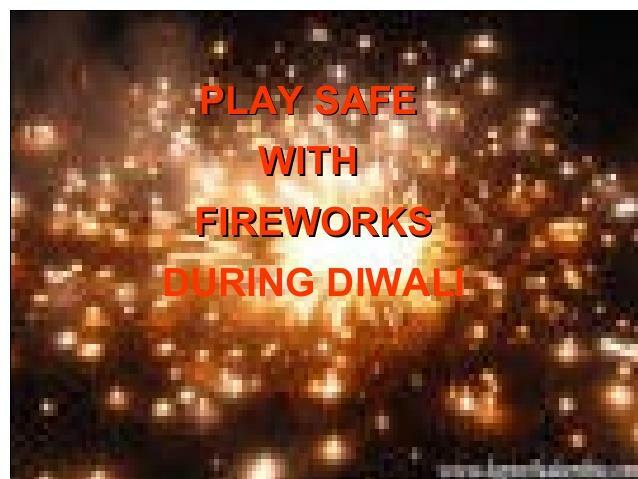 Play safe this Diwali!